GE Additive concluded the 2018/19 cycle of its Additive Education Program (AEP) by announcing that the University of Illinois at Urbana-Champaign is one of five universities in Europe and the United States that will receive a Concept Laser Mlab 200R direct metal laser melting (DMLM) additive manufacturing system. GE Additive received more than 500 proposals from around the world in the University and College category. Following a thorough review, Illinois was one of five higher-education institutions selected for receipt of an Mlab 200R manufacturing system, which uses lasers to melt layers of fine metal powder and create complex geometries with incredible precision directly from a CAD file. 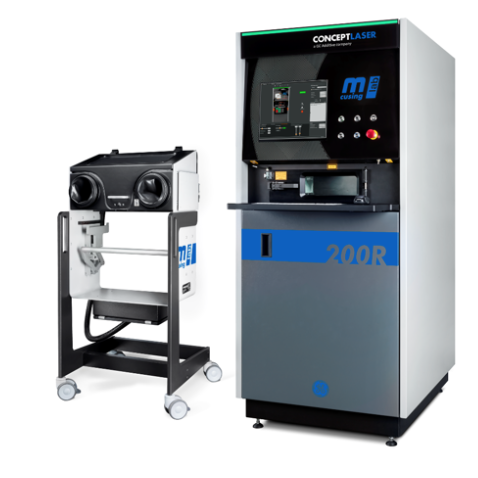 The Concept Laser Mlab 200R, which will be housed at the Illinois Applied Research Institute’s (ARI) light manufacturing laboratory facility in the Research Park, will allow Illinois researchers, faculty, and students to gain a better understanding of additive manufacturing and its applications first-hand. The machine will also offer the University of Illinois the opportunity to directly engage with the industry and other research institutions on collaborative and technology transfer efforts aiming at fulfilling the needs for a viable AM technology system. This includes research focused on expanding the range of alloys suitable for additive manufacturing, generating digital twins for real-time feed-forward process control, developing generative design algorithms for product design and topology optimization, and improving DMLM process modeling and validation for improved product performance and reduced time-to-market. “The University of Illinois at Urbana-Champaign has a long tradition of developing additive manufacturing equipment, processes, and sensors. As a result of the AEP award, we look forward to continuing this tradition as we collaborate with faculty, students, and our customers,” said Magdi Azer, ARI’s Associate Director for Manufacturing Science. Delivery of the machine will take place in the first quarter of 2019. GE Additive Education Program (AEP) represents a $10 million, five-year financial commitment aimed at accelerating the adoption of additive manufacturing worldwide. Now in its second year, the AEP has awarded polymer 3D printers and curriculum to more than 1,000 primary and secondary schools in 50 states and more than 30 countries and metal additive manufacturing systems to 13 colleges and universities worldwide.